I love those first days of Autumn as the trees begin to change and the misty mornings begin. 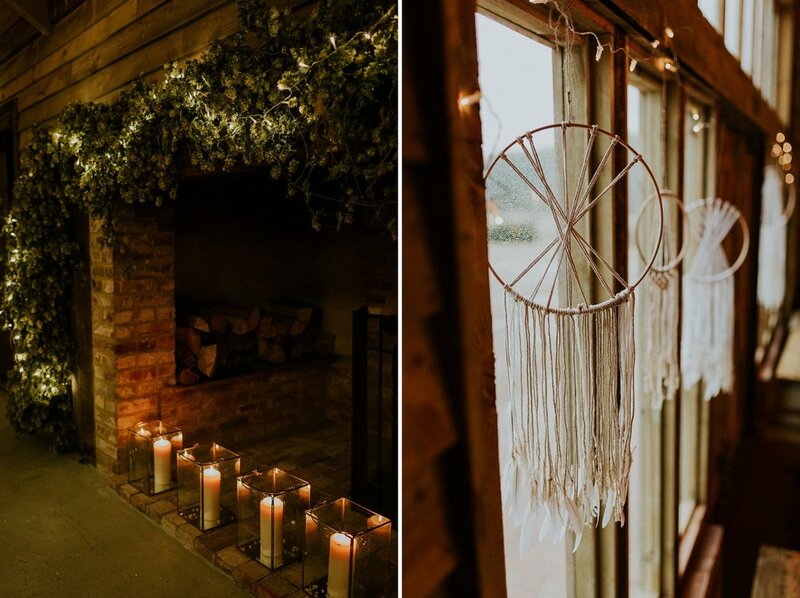 What better way to celebrate the Autumn Equinox yesterday and my last wedding of the season at High Billinghurst Farm (one of my favourite venues)! The ceremony was originally going to take place in the walled garden but unfortunately the weather gods were against us. It didn't dampen our spirits in the slightest! 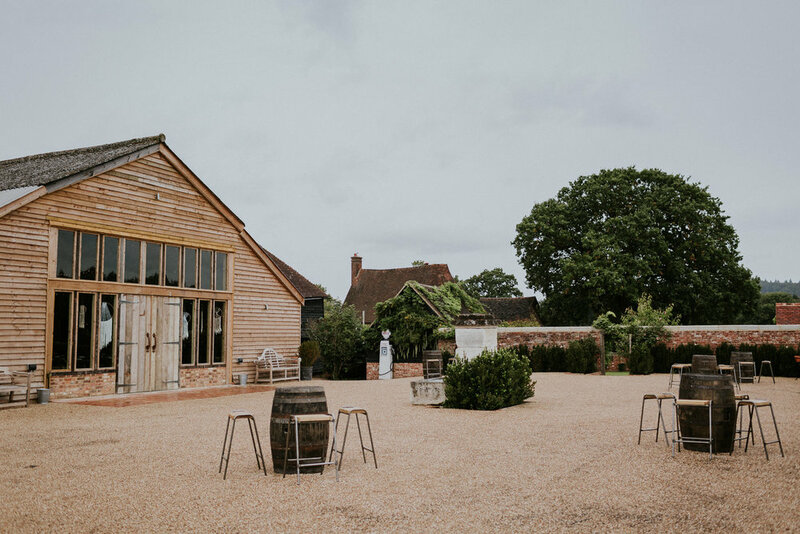 The beauty of this venue is that you have so many different spaces available from meadows, a stone circle, and woodland to two gorgeous barns, a courtyard and walled garden. 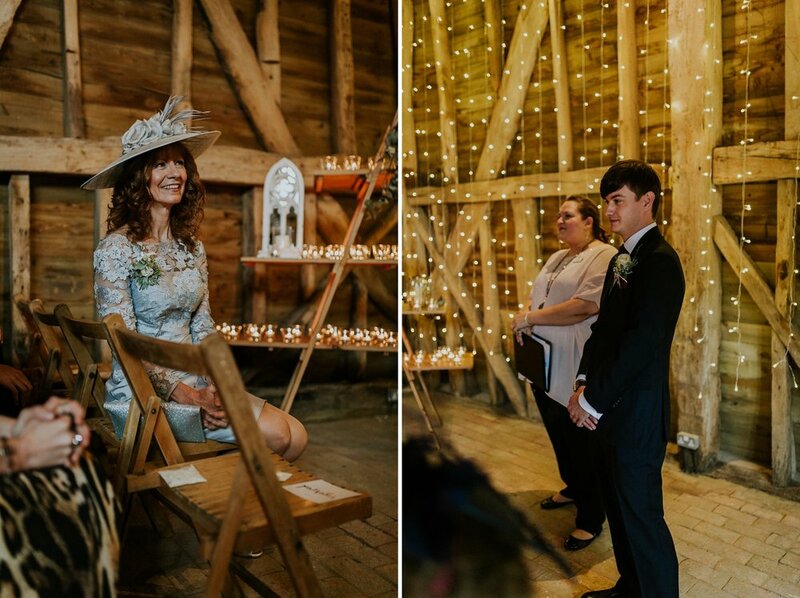 The ceremony took place in the oldest barn on site. This space is wonderfully intimate and cosy with a feeling of history brought out by the gorgeous beams and brick floor. 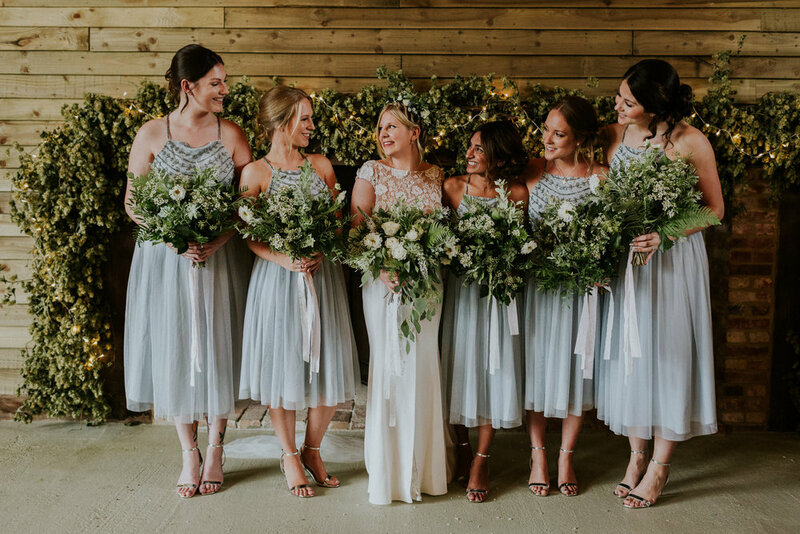 Copper tones, whites, creams and various shades of green foliage and succulents provided an earthy, rich colour palette. Another barn next door was set up for the wedding feast - long tressle tables festooned with all sorts of green foliage and candles. 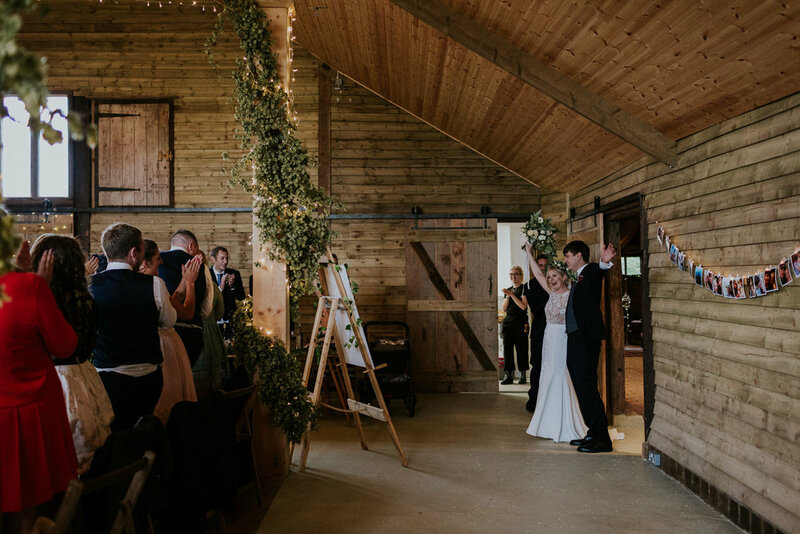 The columns holding up the barn and fireplace mantle were wrapped in swathes of dried hops and a roaring fire helped set the scene for a fabulous afternoon. The wedding dinner was intentionally designed to encourage the spirit of sharing and conversation with delicious Ottolenghi style sharing plates. 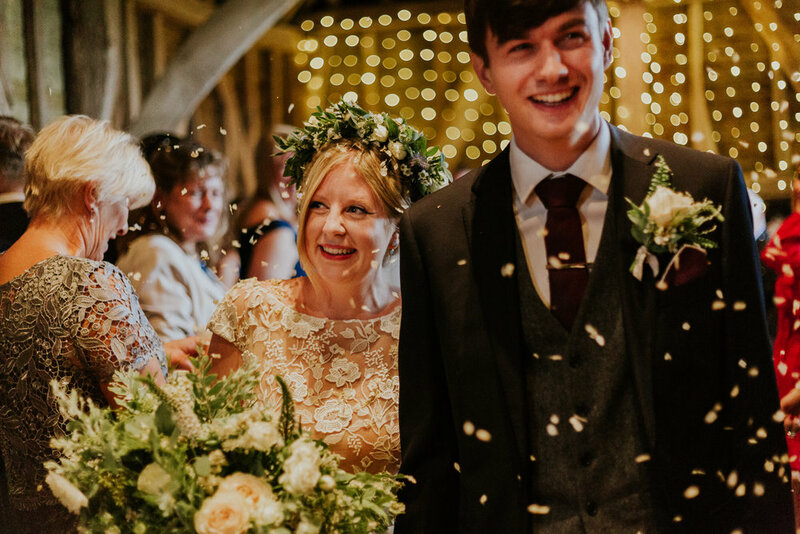 I love, love, loved working with beautiful Gemma and James to create a meaningful wedding ceremony that reflected their view of the world. It had moments of laughter and was full of unconditional love! I feel deeply honoured that they picked me to be their celebrant and trusted me enough to hold the space for their day. I’ve made two new friends in the process! 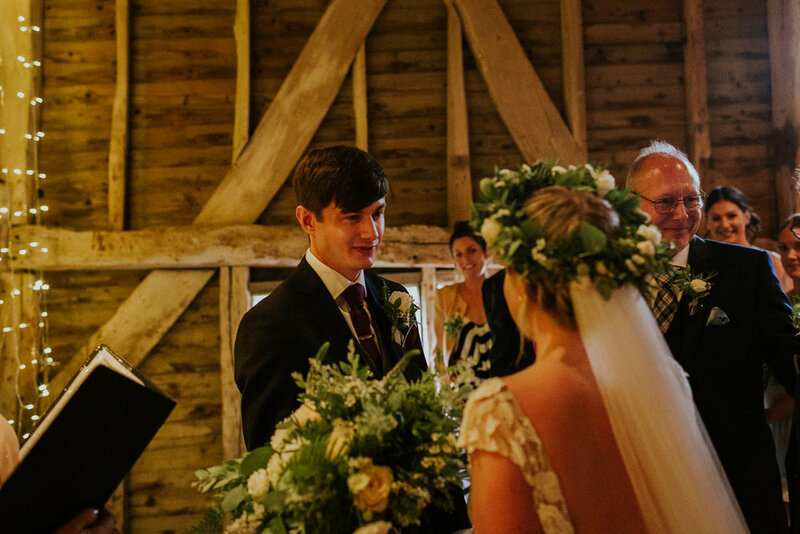 There are moments in the run up to any ceremony that are quite telling. One is the few minutes with the wedding party just before the ceremony begins. It was obvious to me that James was so ready to marry Gemma. Those wedding day jitters that struck as he woke up at 5:30am had subsided and he was so excited to see his beautiful bride walk down the aisle on her very proud father’s arm. 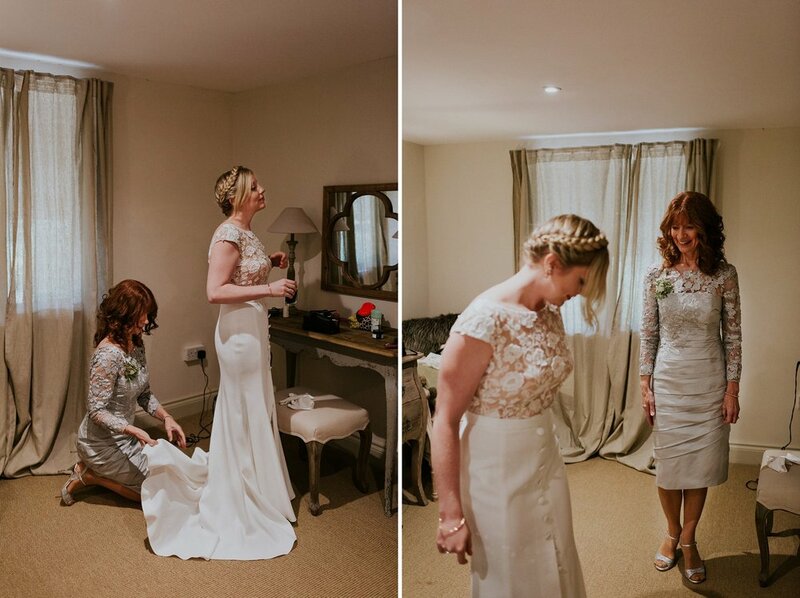 And what a stunning bride she was. I gasped as Gemma walked into the barn. 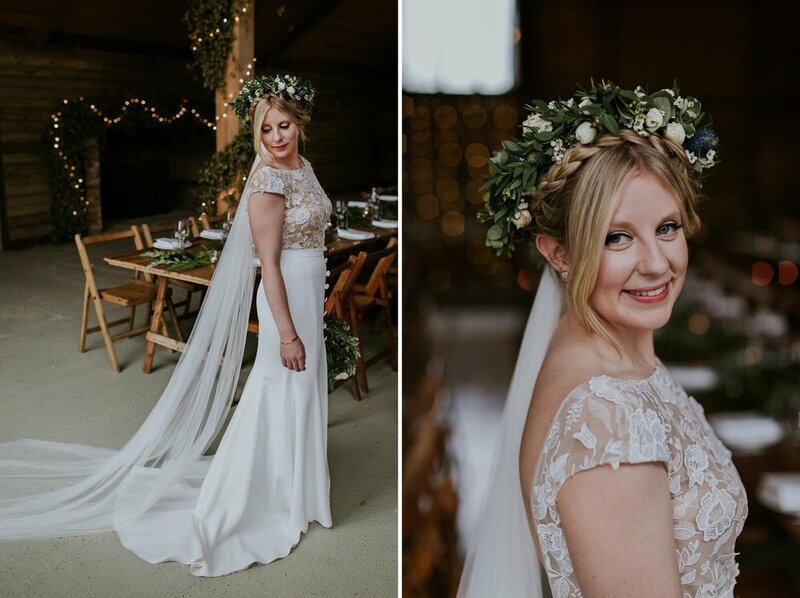 She floated down the aisle in a stunning dress topped off with an ethereal headdress made of flowers. She just took our breath away! 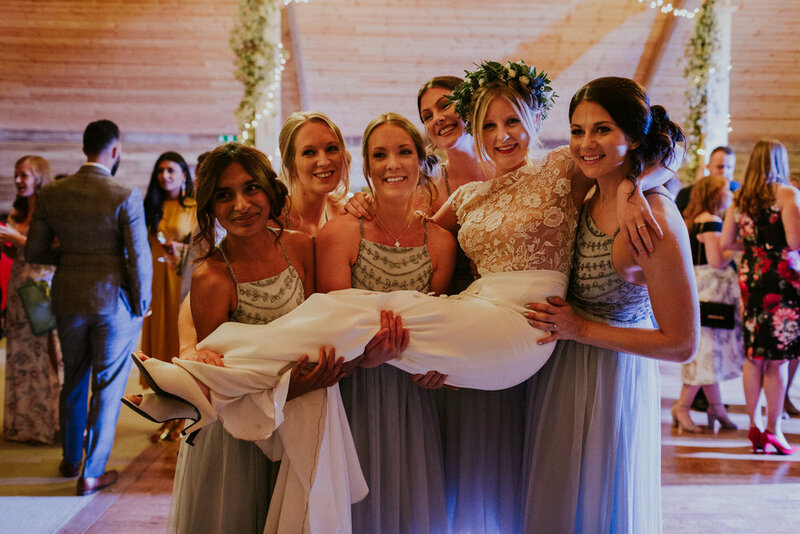 One of the things I love about being a celebrant is the opportunity to flex my creative juices in a way that creates moments of joy for everyone involved. Every ceremony is unique and Gemma and James' ceremony was just that - unique, meaningful and joyous. 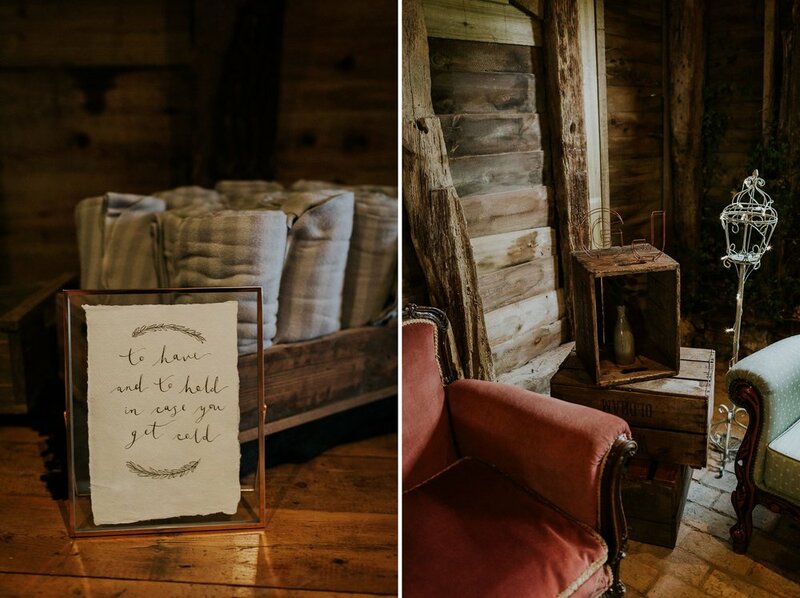 As a symbolic touch, every guest lit a candle which was placed on an altar that formed the backdrop for the wedding and also created a sacred space for vows to be shared. 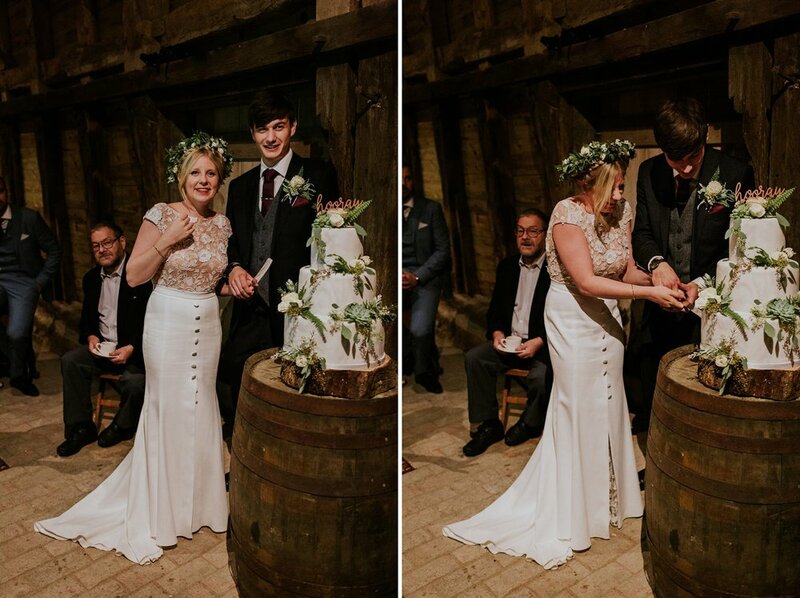 Gemma's sister, Claire, lit a candle in memory of loved ones no longer with us and Gemma and James completed the altar by lighting their candle as the ceremony began. Gemma and James aspire to live their lives fully with a deep understanding of each other, feeling all their emotions, passions, desires and dreams without denying or limiting themselves. They strive to see beyond ego and live with kindness, harmony, trust, and mutual respect. Both have been deeply inspired by writers such as Louis de Bernieres and Gregory Roberts. When I first spoke with Gemma and James they shared how Gregory Robert’s book Shantaram had inspired them. I knew we were on to a winner as it is one of my favourite books. Shantaram is also significant for me as it was one of the last books my wonderful Mum and I shared before she passed. Mum’s memory inspired me to take up this work after she died. In the midst of sadness, I wanted to do something positive that celebrated her knack for bringing people together in the most creative ways. So as I prepared for yesterday’s ceremony I couldn’t help but think of her with huge gratitude. 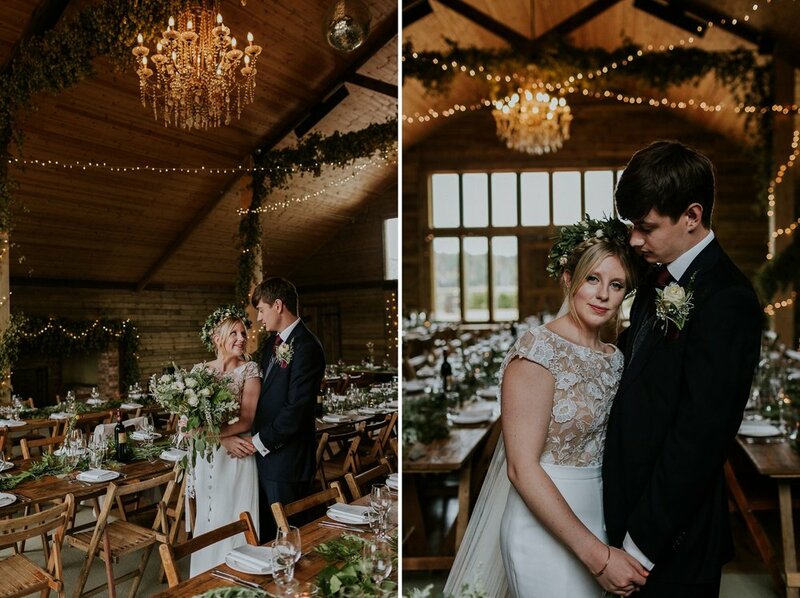 Everyone involved in the day had poured their heart and soul into celebrating Gemma and James. 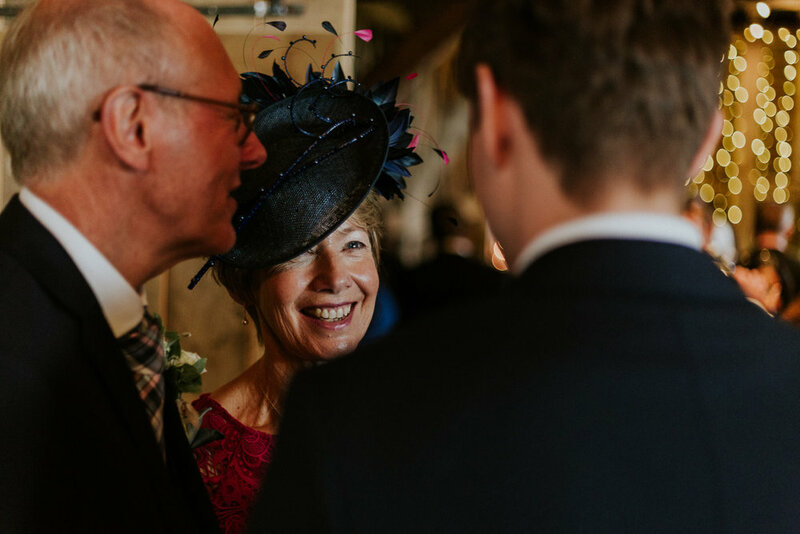 James’ Mum, Helen, read a passage from Captain Corelli’s Mandolin - with such warmth and reverence as she struggled to hold back the tears! Then a little humour was provided by Colette who read the lyrics of I Wanna Be Yours - an Arctic Monkey’s song! Nowadays I can’t get the vacuum cleaner out without thinking of Gemma and James! After the ceremony and a few photos (by the way their photographer Maya was great to work with and as you can see from her photos above - her work is phenomenal!) I quietly slipped away to leave them to get on with the important business of celebrating. Usually, as I leave a venue, I like to pause and give a quiet moment of gratitude for a beautiful day. Yesterday’s moment of gratitude was somewhat soggy - under an umbrella on the steps of the barn kitchen - but no less full of love and appreciation. It truly is a privilege to do this work! And I was chuffed to bits with this lovely handwritten note from Gemma and James - it’s the small gestures that mean so much. 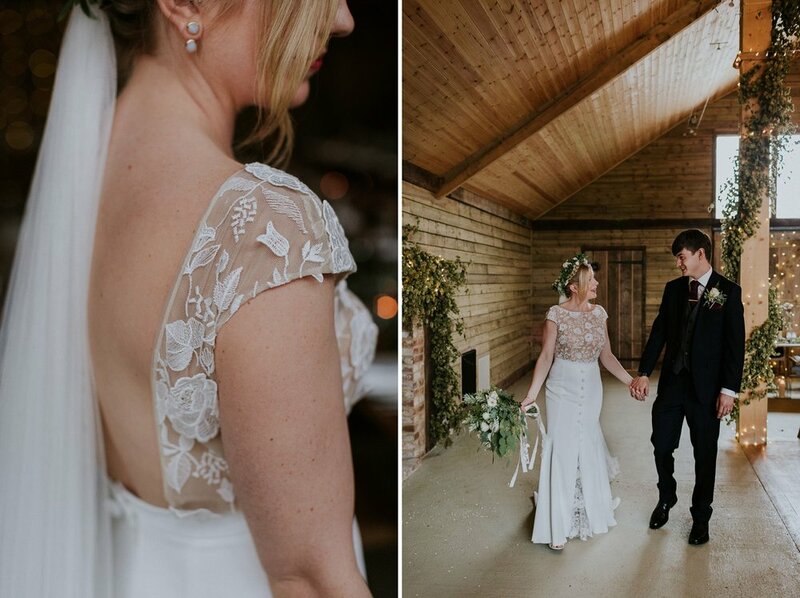 Gemma and James - thank you for the honour of creating your ceremony! Have a fabulous honeymoon in New Zealand and I’ll see you when you get back!